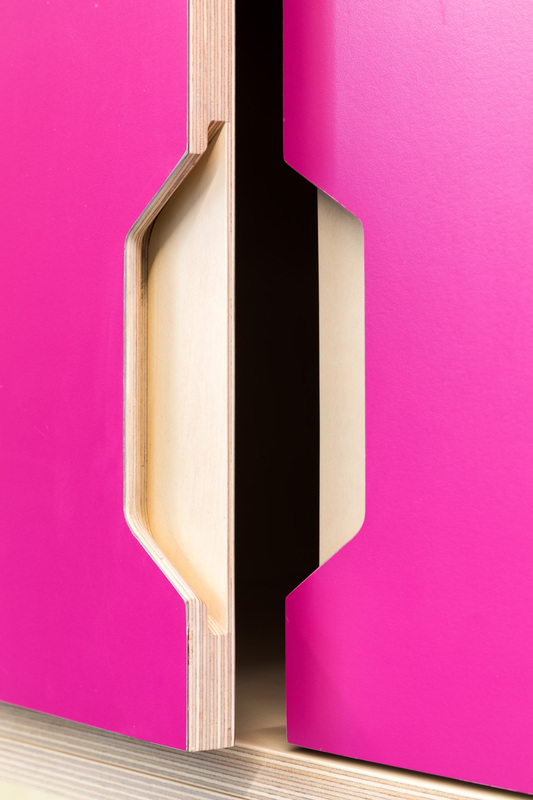 The design challenge within historic buildings is to create a sensitive intervention that meets the needs of modern day requirements. 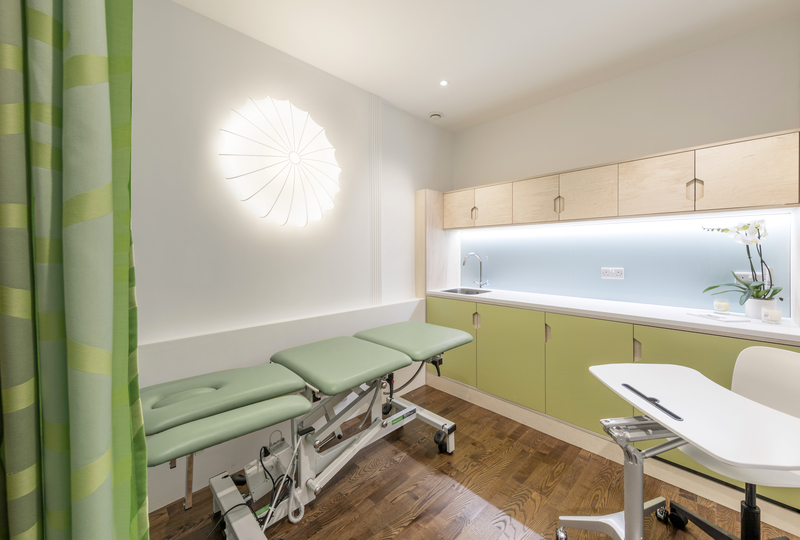 Boex were commissioned to look at new ways to creatively maximize the interior of a Grade Two listed building in the heart of London whilst creating a safe and functional healthcare environment for both children and adults receiving rehabilitation treatment. 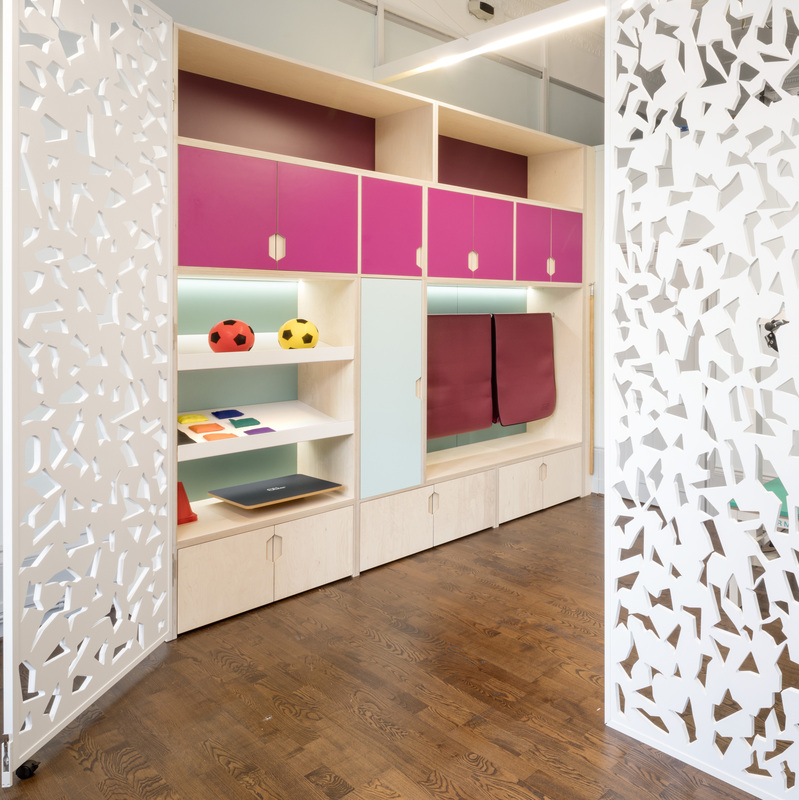 Bespoke perforated doors create partition screens to divide the large rooms into smaller focused therapy areas whilst continuing to allow the flow of both people and natural daylight. 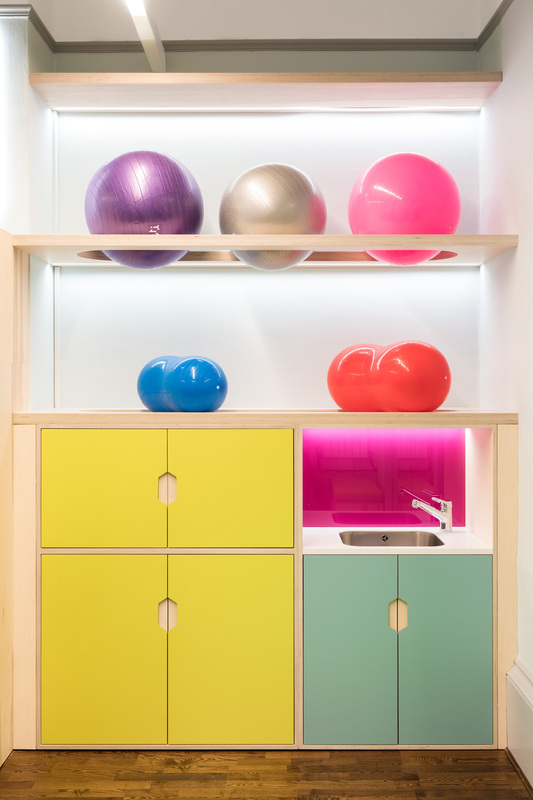 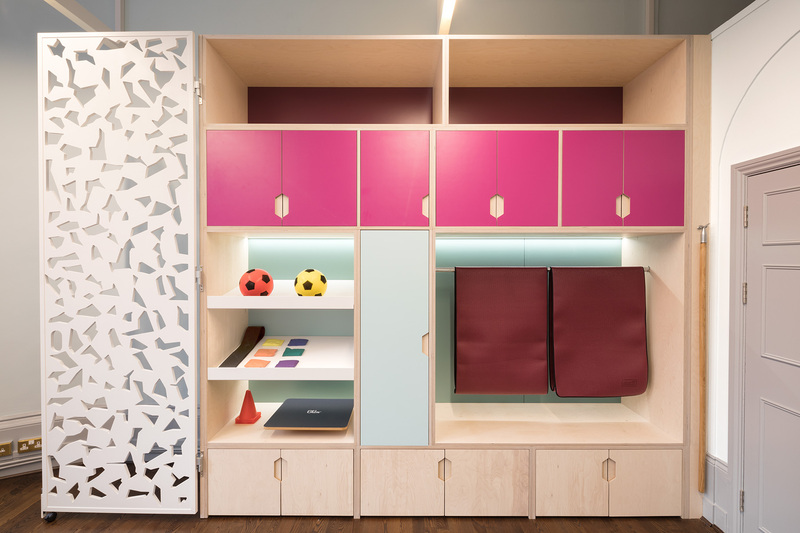 A combination of custom storage units in pop colours and open shelving in infection-safe materials have been designed to accommodate a range of physiotherapy equipment and meet the needs of daily activities. 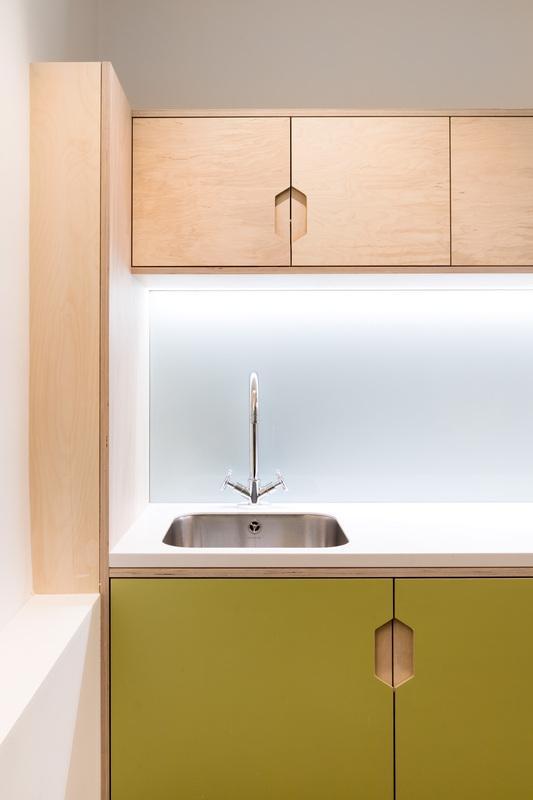 Addressing the need for softer lighting whilst preserving original architectural features, the design incorporates suspended task lights, feature wall lights and integrated LEDs that give flexible light levels day and night. 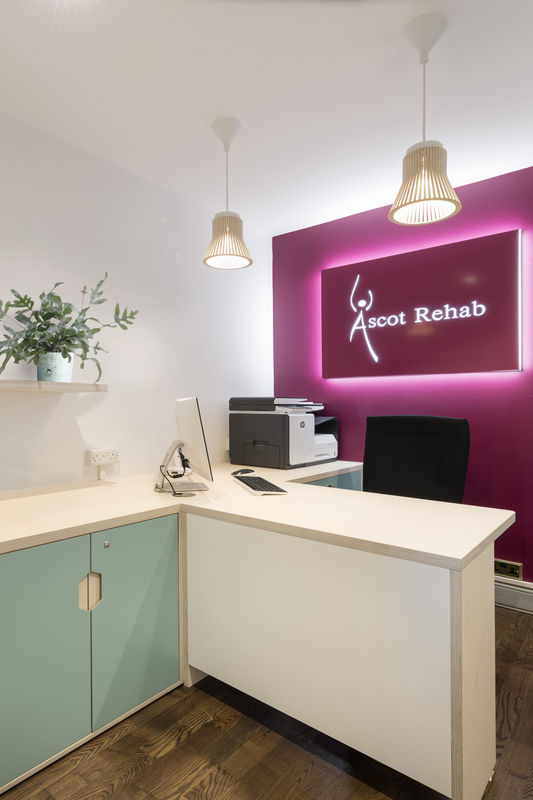 Finally, injecting colour in the form of large digitally printed wall graphics by Rose Darling provides a uplifting backdrop for health and recovery.